By all accounts, Prime Minister Narendra Modi's Washington visit for the fourth and concluding Nuclear Security Summit had gone well. 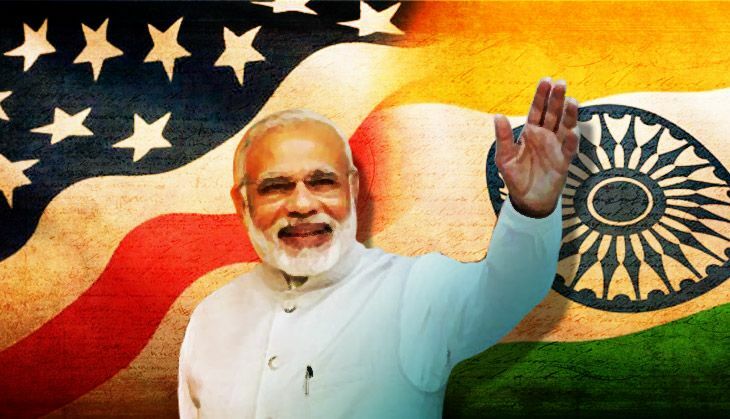 From the time President Barack Obama launched this initiative six years ago, India had been an active participant and Prime Minister Modi has continued the engagement. A National Progress Report was presented highlighting the impressive steps taken by India in recent years, in terms of strengthening national laws and practices relating to nuclear security, as well as enhancing engagement with IAEA and Interpol, two of the key multilateral agencies. Therefore the reference to India and Pakistan in President Obama's concluding press conference would have been an unwelcome surprise to the Indian delegation recalling the shades of hyphenation of the past, which both India and US insist, had been consigned to history. At his press conference following the conclusion of summit, President Obama was asked a question about the US's nuclear weapon modernisation programme and Russian and Chinese responses to it. President Obama spoke about the reductions in strategic weapon stockpiles, regretted that he had not been able to achieve deeper cuts and stated that as long as US maintained its nuclear arsenal, it was necessary to ensure that it was safe and reliable. He then went on to add - "the other area where I think we need to see progress is Pakistan and India, making sure that as they develop nuclear doctrines, they are not continually moving in the wrong direction". He continued with a reference to the challenges posed by North Korea before wrapping up his answer and the press conference. Predictably, the Indian spokesperson reacted and suggested that 'there seem(ed) to be a lack of understanding about India's defence posture'. He went on to explain the merits of India's no-first-use policy and pointed to another part of President Obama's opening remarks about "expanding nuclear arsenals in some countries, with more small tactical nuclear weapons which could be at greater risk of theft", as a clear reference to concerns about Pakistan. President Obama's comment makes it all too clear that the non-proliferation lobby in Washington is loathe to give up on the hyphenated approach. On the Indian side, it reinforces suspicion and scepticism about the US agenda, generating domestic opposition for Prime Minister Modi. Yet, on balance he was able to move his overall nuclear agenda forward in Washington. India had three objectives: first, to highlight that a strong security culture has been internalised by the Indian nuclear industry; second, to present India as a responsible nuclear state which was playing a significant role in strengthening global efforts for building a nuclear security architecture; and finally, to whittle away at the opposition to India's pending entry to the Nuclear Suppliers Group. While the 1962 Atomic Energy Act provides the basic framework and reserves the sector for government control, additional laws have been enacted to control and license exports of sensitive materials and technologies, consistent with NSG practises. The National Investigation Agency has been designated as the principal counter terrorism enforcement agency, including nuclear terrorism. To ensure a prompt and effective response to a potential radiological emergency, coordination systems between National Disaster Management Authority, Department of Atomic Energy, Crisis Management Group and the dedicated cyber security response team at CERT-In have been put in place. India is a party to all the 13 universal instruments dealing with combating international terrorism. To share best practices and conduct national and international training courses, a Global Centre for Nuclear Energy Partnership (GCNEP) has been set up near Delhi. In addition to focussing on nuclear security, radiological safety and advanced nuclear energy systems, a key area of interest is development of proliferation resistant technologies. Nuclear safety and security is vitally important for India because any breach could undermine public confidence in nuclear energy, which is an integral part of India's long term energy strategy. Therefore India's profile at the Summit is driven as much by its domestic compulsions as by its declared commitment to global non-proliferation. This is why it makes eminent sense to have joined up with the three 'gift baskets' - one dealing with the Centres of Excellence where GCNEP is one of them; countering nuclear smuggling; and the Vienna based contact group which will plan appropriate follow up to the NSS process. Prime Minister Modi's choice of bilateral engagements with the leaders of Canada, Japan, Kazakhstan, UK, New Zealand and Switzerland indicate that the NSG membership was very much part of the agenda. Though the special waiver granted by the NSG in 2008 has enabled India to sign nuclear cooperation agreements with more than a dozen countries and tie up uranium fuel supplies for the long term, NSG membership has remained the political objective underlying India's nuclear diplomacy. Since the end of the Cold War, when India and the US decided to engage afresh, an important Indian objective of the dialogue has been to wean US opinion makers away from the hyphenated approach to South Asia that had been the norm during the Cold War. Constrained by the ideological divide of the Cold War when Pakistan was a member of two US led military alliances SEATO and CENTO and India chose non-alignment, coupled with the hostile relationship between the two South Asian countries, a hyphenated policy was a politically expedient simplification. The fact that it still re-emerges a quarter century after the end of the Cold War only demonstrates how difficult it is to change human thinking and get rid of old constructs that have lost validity. Part of it is due to the Cold War legacy which saw Asia as fragmented between Far East, East, South East, South and West Asia. Today, a reversal is evident with the notion of the Eurasian land mass again gaining importance as is the concept of Indo-Pacific in the maritime domain. For India, the way forward in today's uncertain world is not reticence but a more self-confident engagement on our own terms in order to consign the hyphenation to history.